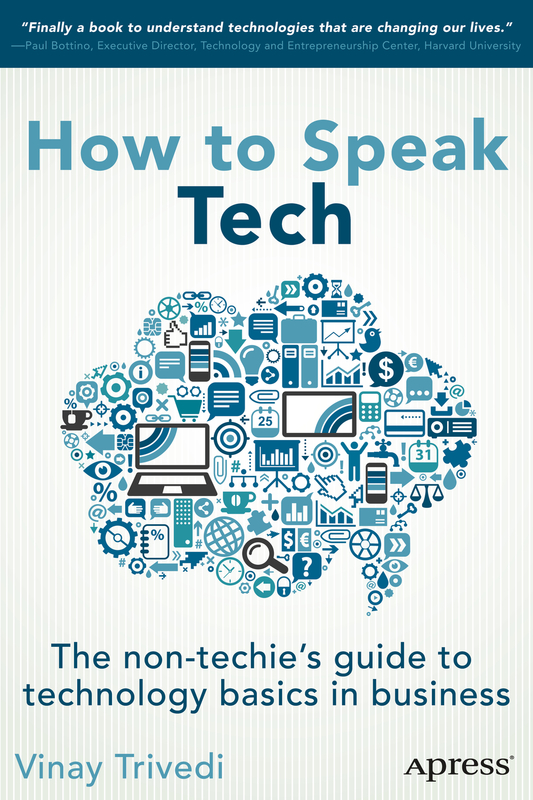 In a way that anyone can understand, How to Speak Tech: The Non-Techie's Guide to Technology Basics in Business spells out the essential technical terms and technologies involved in setting up a website or web application. Nontechnical readers will find their digital literacy painlessly improved with each ten-minute chapter of this illustrative story of one successful technology startup building its Web-based business from scratch. Vinay Trivedi—entrepreneur, investor, and tech enthusiast—employs the startup story line as his frame for explaining in plain language the technology behind our daily user experiences, the successful strategies of social media giants, the bold aspirations of tiny startups, and the competitive adaptations of ordinary businesses of all sizes and sectors. Along the way, he demystifies all those tech buzzwords in our business culture whose precise meanings are so often elusive even to the people using them. Internet hardware, application software, and business process: the working premise of this book is that none of it is beyond the basic understanding of nontechnical readers. Trivedi peels back the mystery, explains it all in simplest terms, and gives his readers the wherewithal to listen intelligently and speak intelligibly when the subject turns to the Internet. Nontechnical business people who want to firm up their understanding of technology and their fluency with technical terms in widespread use in the business world. People in the general-interest mainstream who are looking for a short, accessible, and comprehensive treatment of technology in business to inform their personal experience as consumers and as passive and active generators of Internet content and value.